Teething– a very common cause of fussiness in infants age 4 months to 2 years. Upset stomach– in breastfed infants, occasionally your baby’s stomach may get upset by something mom ate earlier in the day. 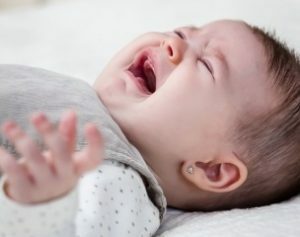 Colic– this is inconsolable crying in young infants which occurs daily and lasts for several hours.